It’s our goal to further support small business owners by providing helpful and timely tax information that will guide them through tax season and beyond. Shoeboxed, the world’s leading receipt and document digitization SaaS company, and Fujitsu Computer Products of America, Inc., the market leader in document imaging scanners, including its ScanSnap document scanner line, have teamed up to create the “Small Business, Big Refund” initiative, a free online resource center providing small businesses with the tools they need to help reduce their tax burden and streamline business operations. To further support the initiative, Shoeboxed has released a free to download white paper entitled, “Five Must-Know Small Business Tax Strategies,” exploring issues such as how to select the right accounting software for your business and the most commonly missed small business tax deductions. The “Small Business, Big Refund” initiative is also supported by an active Facebook page with supplementary tax articles and resources. The page is designed to be an open forum for small business owners to connect, share advice and help one another to maximize their tax refunds every April. 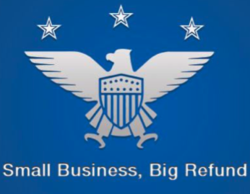 For more information about “Small Business, Big Refund,” please visit https://www.facebook.com/smallbusinessbigrefund. To download the free white paper, “Five Must-Know Small Business Tax Strategies,” please visit https://www.shoeboxed.com/white-paper/five-must-know-small-business-tax-strategies/.